The original game of Monopoly was invented by a Quaker woman called Elizabeth Magie in 1903 (and originally called The Landlord’s Game). 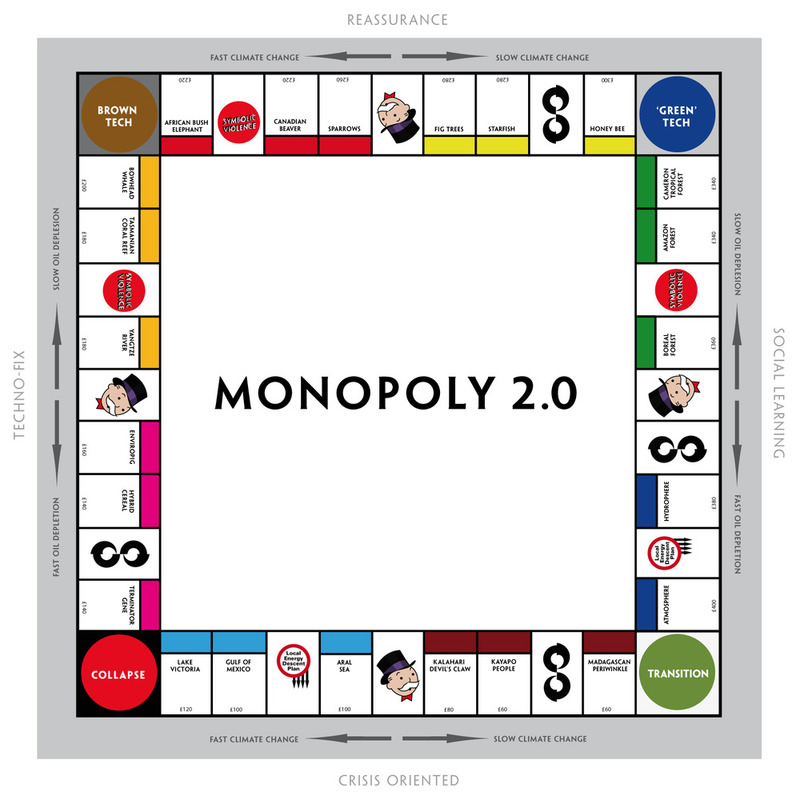 Elizabeth Magie’s game intended to demonstrate the injustices of Henry George’s Single Tax on land but instead Parker Brothers bought the rights and made a game about buying property, making monopolies and beating other players by charging them rent. Econopoly is about the commodification of the natural world. Presently, ecological ‘services’ are being given financial value in a desperate effort to convince industrialists to acknowledge the importance of Nature. The financialisation of ‘ecosystem services’ is based on the belief this will help protect biodiversity. But does assigning ecosystems an economic value really work?